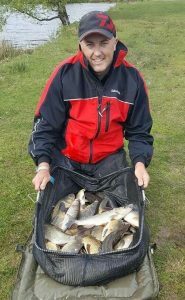 On Queensberry Water two anglers dominated the match, getting their tactics right on the day, Colin Hart ran out a very comfortable winner, weighing in a superb 70lb 4oz net of skimmers, chub and ide, all caught on pole / maggot. 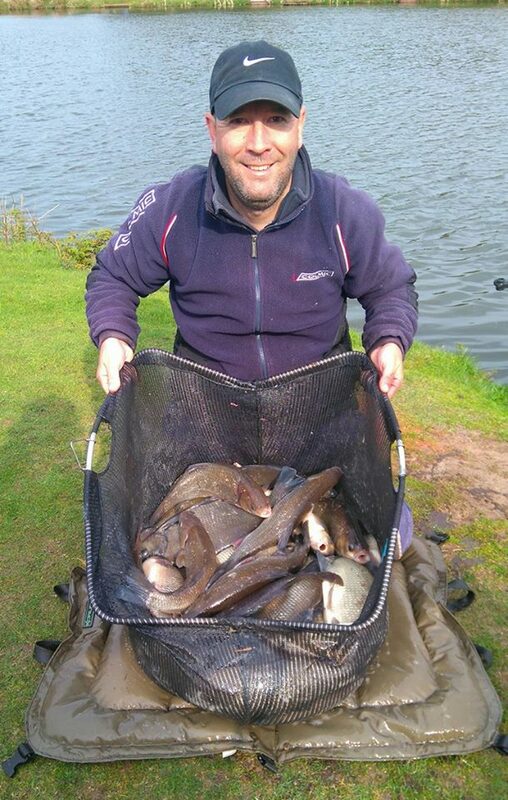 Steve Wood was a comfortable second with his 45lb 8oz net of carp. 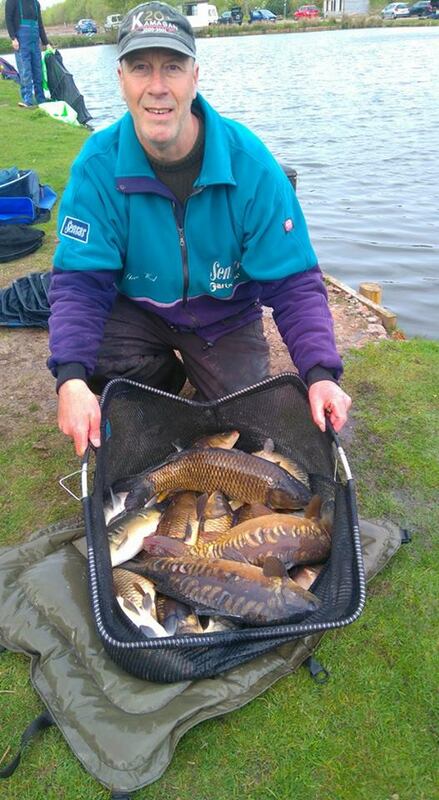 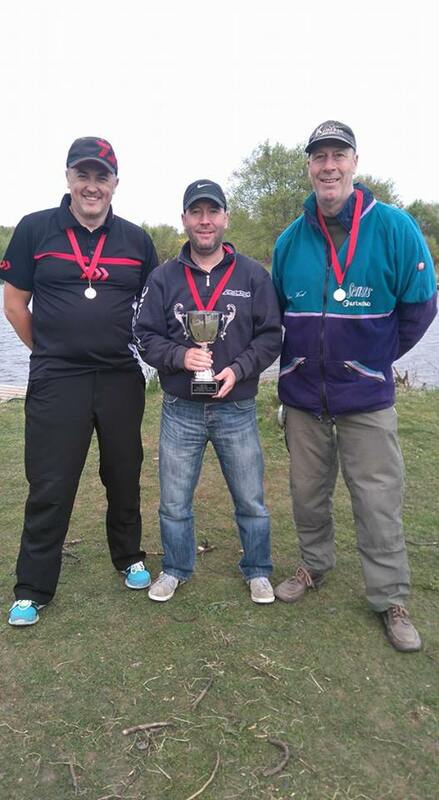 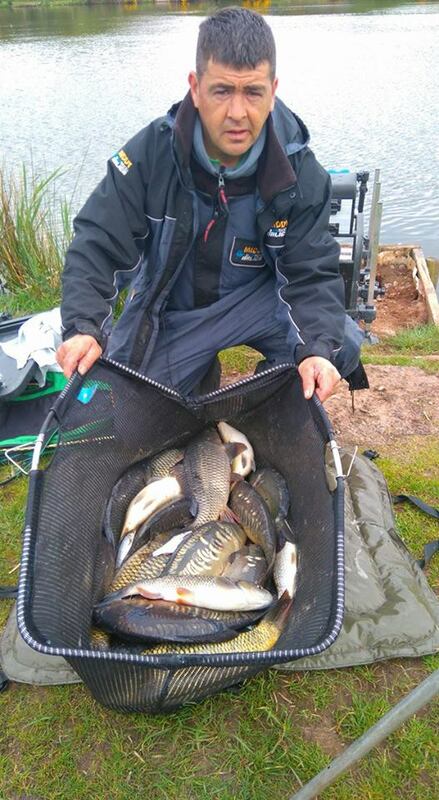 John Callahan took a the last framing place on hot peg 20 with 17lb 13oz, mainly made up of silvers, caught on pole. Bruces Acre was a reasonably close section with 6 of the 8 anglers recording 25lb + weights. David McAuley won the section with 43lb 12oz of small carp and a few chub, but could easily have doubled his weight with the carp diving into snags, bumping off and trying every trick in the book to eject the hook..! 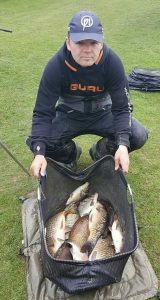 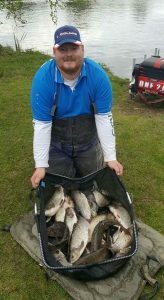 James Woodrow took 3rd place with a decent 32lb 4oz net of ide caught on long pole / maggot.